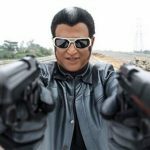 Without a doubt, Endhiran has turned out to be the biggest release of Superstar Rajnikanth throughout his career. Produced at a cost of Rs.125Crores, Sun Pictures are reported of having filled with pockets with big profits already. According to the trade reports, the film has been sold out for Rs. 205Crores. With a week left for the film’s opening, the booking plans opened up last evening across Tamil Nadu. Just as expected, the tickets for the first week (approximately 125 per day in Chennai alone) were sold out within an hour. The distributors and theatre exhibitors are sure-footed of spinning profits by the first week itself. 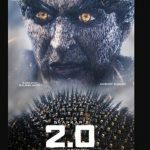 In Karnataka and Andhra Pradesh, the Telugu and Kannada releases have been postponed from last week of September to second week of October due to the grand release of “Endhiran’. It’s worth mentioning that Rajnikanth’s films in Telugu and Hindi have been successful. It is worthy recollecting a Superstar’s Telugu film crossed 150 days in theatres of Andhra Pradesh though it was a cameo role, in which he appeared for just couple of scenes. Hansraj Saxena, COO of Sun Pictures, has mentioned that the film has more star values, which have raised everyone’s expectations. 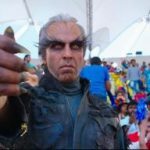 With Superstar Rajnikanth himself happening to the biggest brand, the film has Aishwarya Rai Bachchan, academy award winner A.R. 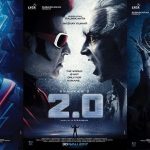 Rahman, director Shankar (all his films have at least crossed 150 days in theatres), academy award winner Resul Pookutty, Hollywood’s top-charting technicians have worked on special effects.